Here you are able to publish your team and can join other teams. Here, teams can have a war against each other with certain rules. This is our warteam. 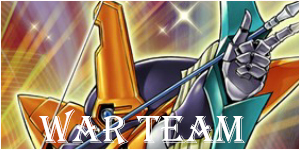 People who are members of it will represent the academy in wars with other academies.Only strong duelists will be in.